For the first time in Head Coach Justin Howell’s tenure in Berkeley, the No. 20 Cal women’s gymnastics team competed in two meets in the same weekend. On Friday night, No. 18 Cal defeated Central Michigan as Haas Pavilion bid a bittersweet farewell to seniors Toni-Ann Williams, Alicia Gallarzo, Arianna Robinson, and Yuleen Sternberg on senior night. Last season when Cal and Utah met in Salt Lake City, Skinner took the all-around title as a freshman posting a score of 39.500. 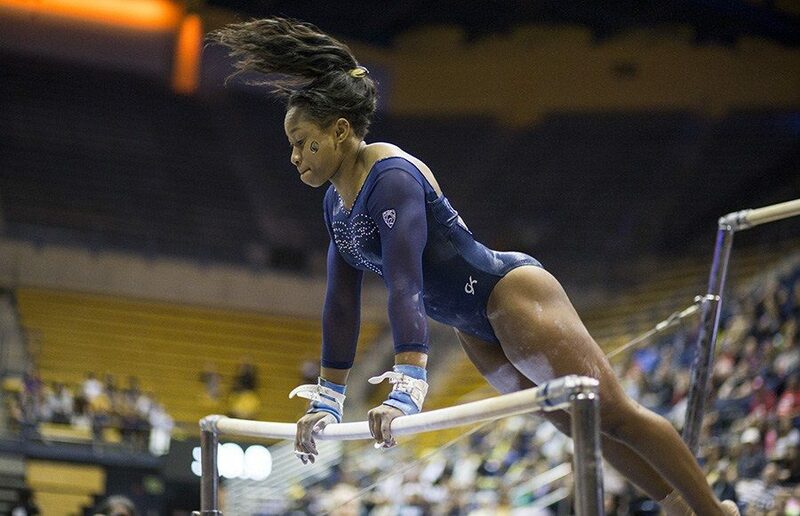 A win in Palo Alto this weekend was huge for the Bears, especially considering that senior and 2016 Olympian Toni-Ann Williams was not competing in the floor event in which she is ranked No. 22 in the nation. Cal will be hoping to build upon its high-scoring performance in their loss against then-No. 4 UCLA, in which they finished with a 197.225, reaching above 197 for just the fourth time in school history.